Caterpillar motor graders for sale from Cleveland Brothers have a reputation for offering world-class cab and controls, advanced electronics and hydraulics, and optimum productivity... to match your motor grader needs in any application. Built to withstand tough, challenging conditions, Caterpillar motor graders and road graders for sale represents a revolution in operational efficiency, visibility, service ease and overall productivity, setting the standard and building on the Caterpillar motor grader legacy of high quality you can trust. The 12M delivers multiple technological breakthroughs to give you the best return on your investment. The 16M motor grader represents a revolution in operational efficiency, visibility, service ease and overall productivity, setting the new standard and building on the legacy of high quality you can trust. The 24M delivers multiple technological breakthroughs to give you the best return on your investment. Cat® motor graders for sale from Cleveland Brothers combines power management with ACERT™ Engine Technology to deliver maximum power and efficiency in every gear while reducing the environmental impact. Call to speak with one of our Cat® motor grader sales experts, so we can help you size the right Cat® motor grader for your operations and estimate component life, preventative maintenance cost, and the true cost of production. Cleveland Brothers offers a variety of quality new and used motor grader work tools and optional motor grader attachments for the Cat® motor grader, including the industry leading All Wheel Drive system, that expands motor grader versatility, utilization and performance. 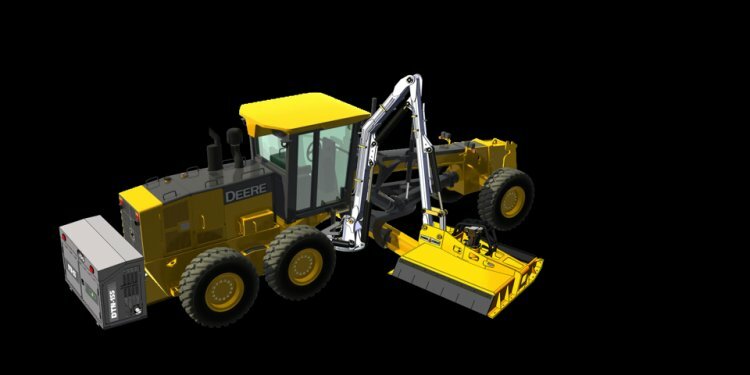 Caterpillar motor grader attachments offers cutting edge systems with flat and curved cutting edges, including a variety of bit and adapter options that can be tailored to any specific road conditions. When you're in need of a grader attachment, Cleveland Brothers is the place to check.